Since World War II, Italy has struggled to recast both its colonial past and its alliance with Nazi Germany. For many years, pervading much intellectual and public discourse was the contention that, prior to the great influx of racialized migrants in the mid-1980s, and with the exception of the Fascist period, there simply was no race (racialized others, racist intolerance, etc.) in Italy. 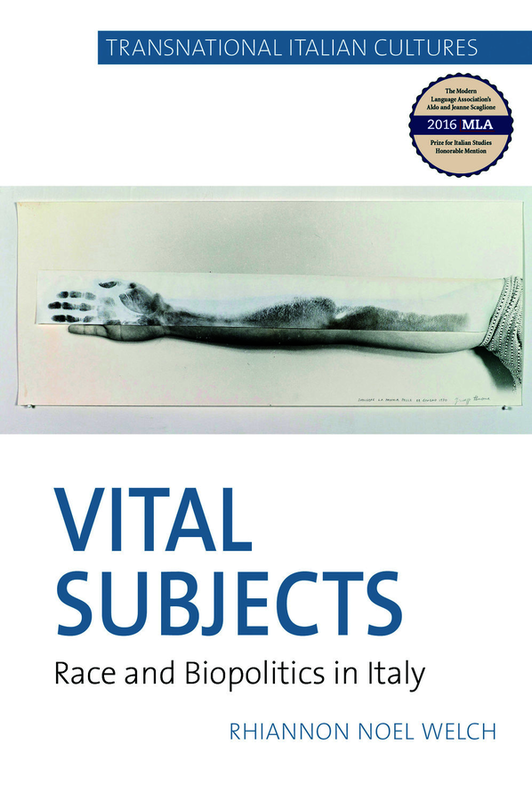 Vital Subjects examines cultural production—literature, sociology and public health discourse, and early film—from the years between Unification and the end of the First World War (ca. 1860 and 1920) in order to explore how race and colonialism were integral to modern Italian national culture, rather than a marginal afterthought or a Fascist aberration. Drawing from theorizations of biopolitics—a term coined by political theorists from Michel Foucault to Giorgio Agamben, Roberto Esposito, and numerous others to address how the life and productivity of the population emerges as a distinctively modern political question—the book repositions discourses of race and colonialism with regard to post-Unification national culture. Vital Subjects reads cultural texts in a biopolitical key, arguing that the tenor of racial discourse was overwhelmingly positive, focusing on making Italians as vital subjects--robust, vigorous, well-nourished, and (re)productive.